Badminton is one of five sports to be stripped of funding for the next Olympic cycle despite the sport delivering a bronze medal at the Rio Games this summer. 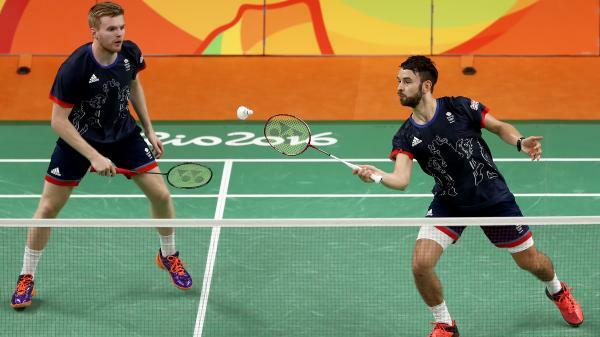 Badminton hit its “maximum” medal target when Chris Langridge and Marcus Ellis won men’s doubles bronze – Britain’s first Olympic medal in the sport since 2004 – but has still had its funding withdrawn by UK Sport. By contrast, Judo had the same medal target and also returned one bronze medal but has seen its funding increase. Fencing, archery, weightlifting and wheelchair rugby have also lost their funding, although none won medals at the recent Olympics or Paralympics. Adrian Christy, the Badminton England chief executive, says he is “staggered” by UK Sport’s “incomprehensible” decision, which removes all funding for the elite squad that also includes the likes of Chris and Gabby Adcock, and Rajiv Ouseph. “How can you return from the best Games for more than a decade, in a year where our players have demonstrated world-class performances and where we can demonstrate the journey to Tokyo is on track, only to have every penny of investment withdrawn?” Christy said. “We are prepared to fight for the hopes and dreams that their talent deserves and will be making representation to UK Sport and appealing to Sport Resolutions (UK) in due course. Badminton had its funding cut from £7.4 million to £5.9 million after London 2012, after no players managed the minimum fourth to eighth-placed finish which had been targeted. Gail Emms, who won Olympic silver in the mixed doubles in 2004, said she could not understand how the performance in Rio could cause funding to be withdrawn. “My initial reaction is, ‘hang on a sec, we’ve won an Olympic medal’ – you’d think that if you go out there and win an Olympic medal it guarantees some funding,” Emms said. Emms, 39, who is on the GB Badminton board, said she now fears for Great Britain’s hopes of maintaining its position among the global elite. She added: “You’ve got Chris and Gabrielle Adcock who are eighth in the world in mixed doubles and Rajiv Ouseph who is in the world top 20 in the men’s rankings. British Fencing described its funding cut as “unexpected” after its performance in Rio, where Richard Kruse came within two points of claiming the country’s first Olympic fencing medal for 52 years, in the men’s foil. “This is obviously a very disappointing and unexpected decision for everyone in British Fencing and one which we will be seeking to appeal,” the governing body said. “We recognise the financial constraints that UK Sport is operating under. However, over the last cycle the programme has transformed into a recognised and professional world-class programme which is delivering consistent and improving international results. In contrast, British Gymnastics was celebrating an increase in funding of over £2 million to £16.68 million following the unprecedented success of its team in Rio. 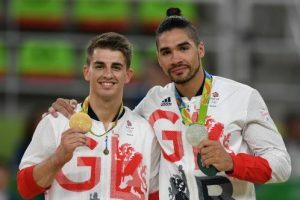 Max Whitlock won two gold medals to become Britain’s first Olympic gymnastics champion – with Louis Smith (silver), Nile Wilson (bronze), Amy Tinkler (bronze) and Bryony Page (silver) also winning medals. Cycling has had its funding cut by more than £4 million, to just over £26 million, despite winning 12 medals in Rio – six of them gold – to exceed its target of ten. Rowing and modern pentathlon were the only sports not to meet expectations in Rio, and both have had their funding trimmed by around £500,000 and £300,000 respectively. UK Sport has had to review its funding of elite sport because of a £30 million funding shortfall, attributed to fewer people playing the National Lottery. A total of £350 million was handed out for the four years leading to Rio – Team GB won 67 medals at the Olympics and 147 at the Paralympics, finishing second in both medal tables – but that investment has fallen to £345 million for the Tokyo Olympic cycle. Rod Carr, the UK Sport chairman, said: “These are critical funding decisions for sports to take them on their journey to Tokyo 2020 and beyond so the historic success at Rio can be maintained. A decision has been deferred on UK Sport’s investment in wheelchair tennis while it explores the Lawn Tennis Association and Tennis Foundation’s ability to access sufficient non-grant income to fund themselves.